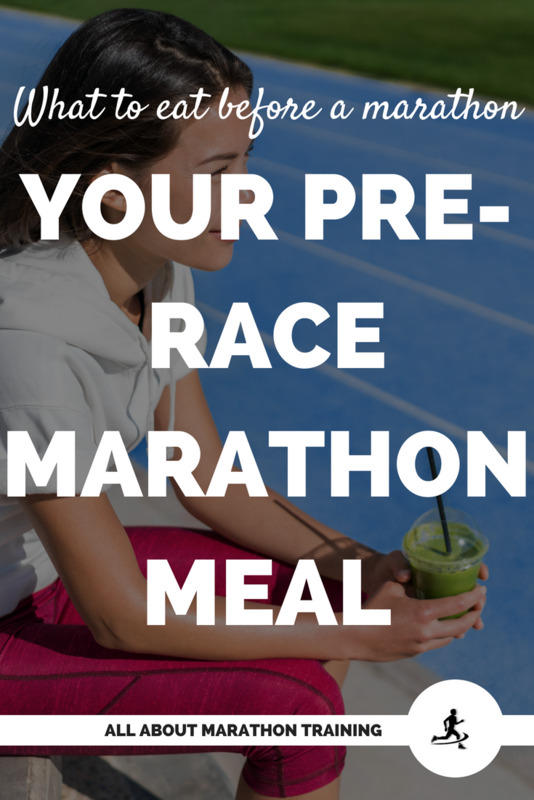 Correct marathon nutrition is critical for optimal performance and training. 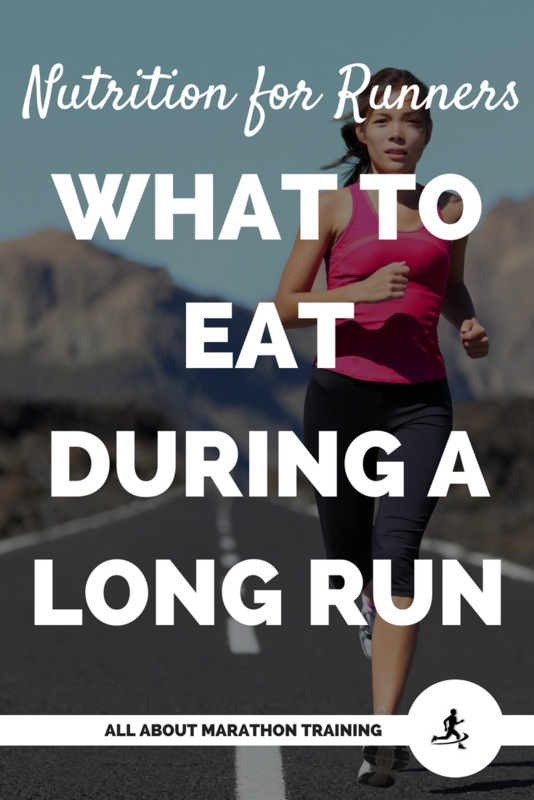 As you begin to increase your weekly mileage and your long runs you will also need to become more aware of what food you are taking in. The more you run, the more energy you expend and the more you need to take in the right fuel/energy sources. 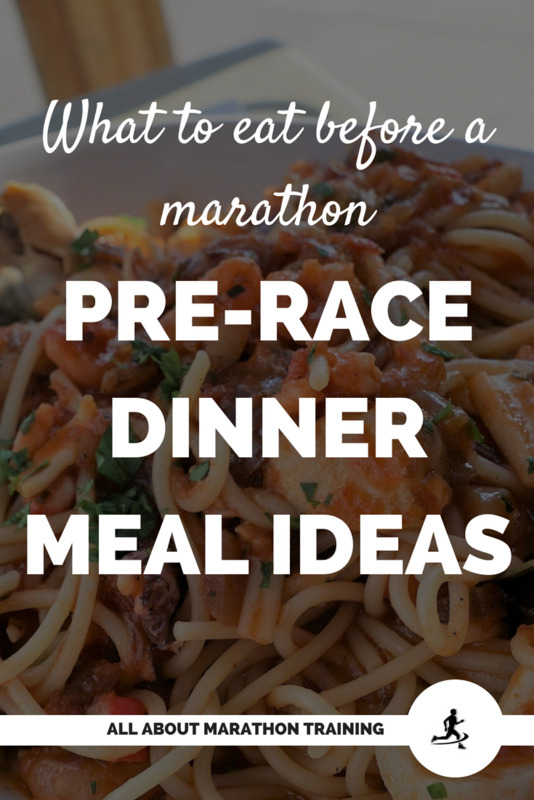 Eating for a marathon, a.k.a. 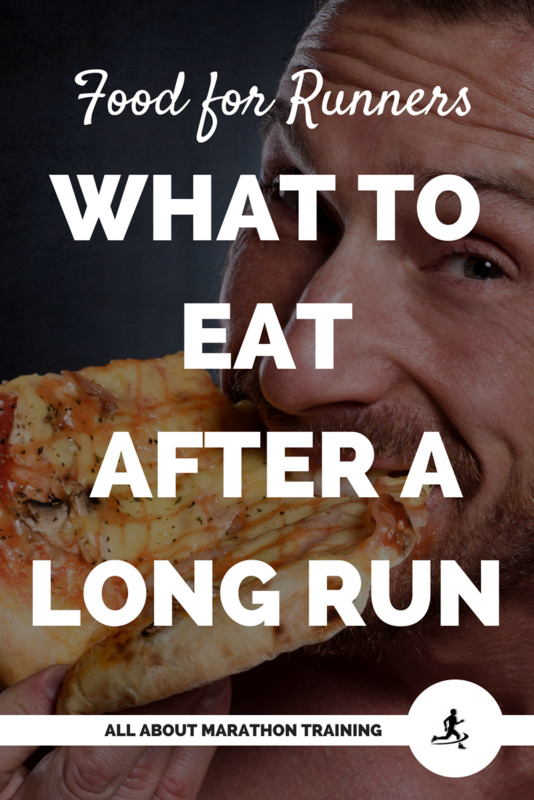 your marathon diet, is not about losing weight. 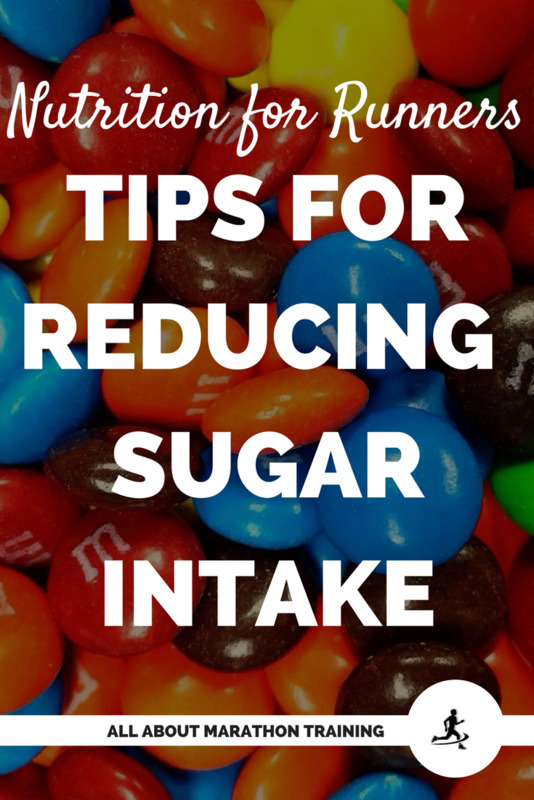 Yes, you more than likely are going to shed a few pounds (or even more than a few). You are doing healthy, vigorous exercise, burning calories, and so there is a strong possibility you will see weight change. However...... in regards to nutrition for runners your goal is not to lose weight but to be nutritious and take in food (fuel) to utilize for energy. The key is in eating a balanced diet! Eating well while training for a marathon does not mean that you need to start strictly counting calories, carbs it means eating when you are hungry and eating to build your energy. 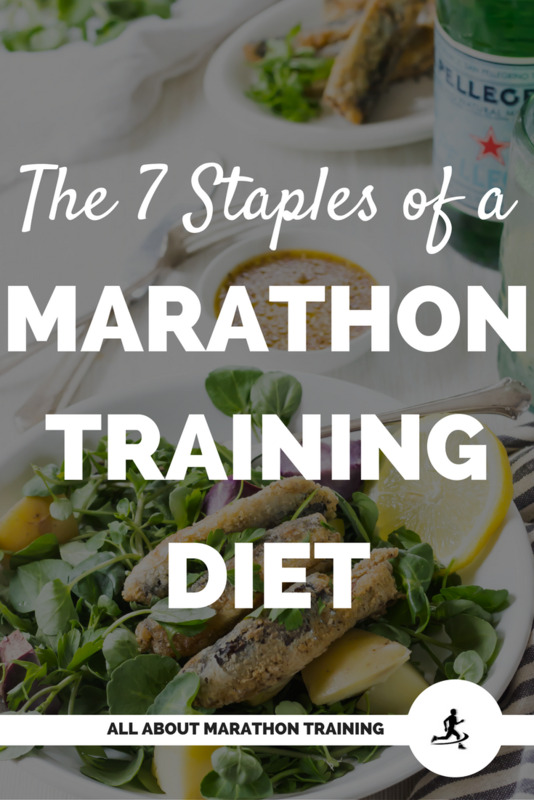 So What Should Your Marathon Nutrition Consist of? 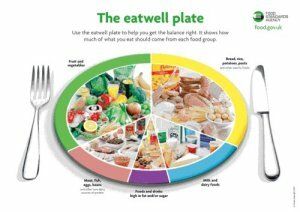 This food plate shows the recommended daily servings that you should be taking in for each of the food groups. As you can see, fruits and vegetables make up 1/3 of the plate and the bread group (your main source of carbohydrates) makes up another 1/3. The last third of the plate consists of meats, poultry, fish, etc., and fats, and milk and diary products. This is an excellent guideline in regards to general healthy nutrition. Nutritionists have put together this plate to show us what our body needs on a daily basis. How many calories do you need as a marathoner? On average, the typical person burns between 2,200 calories/day (female) and 2,800 calories/day (male) depending on activity level. In order for you to just sustain basic physiological function you have what is called your basal metabolic rate (BMR). Now if you multiply your BMR with an activity factor you can figure out how many calories a day you need to sustain your lifestyle. 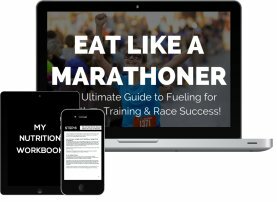 If you are wondering what your EXACT fuel needs - how many grams of carbohydrates, fats, and proteins you personally need each day, as well as how to menu plan and eat as a runner, prep and recover for long runs & race days, then I recommend the EAT LIKE A MARATHONER Nutrition Course. We derive all of our energy from these 3 macronutrients. Each of the above sections explains how that macro-nutrient is important for a long distance runner. It gives general guidelines on how much of each you will need and lists foods of some of the best sources of that macro-nutrient. 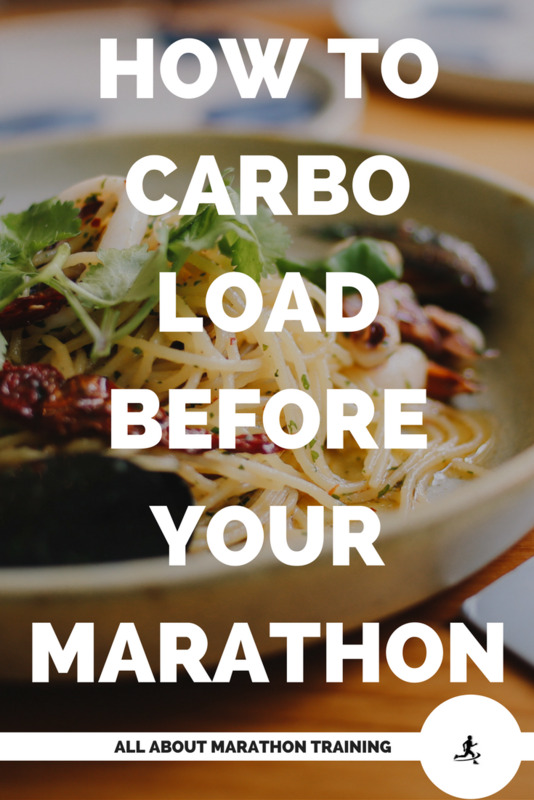 Carbohydrates are the main macro-nutrient that your body will utilize for fuel as a marathon runner. 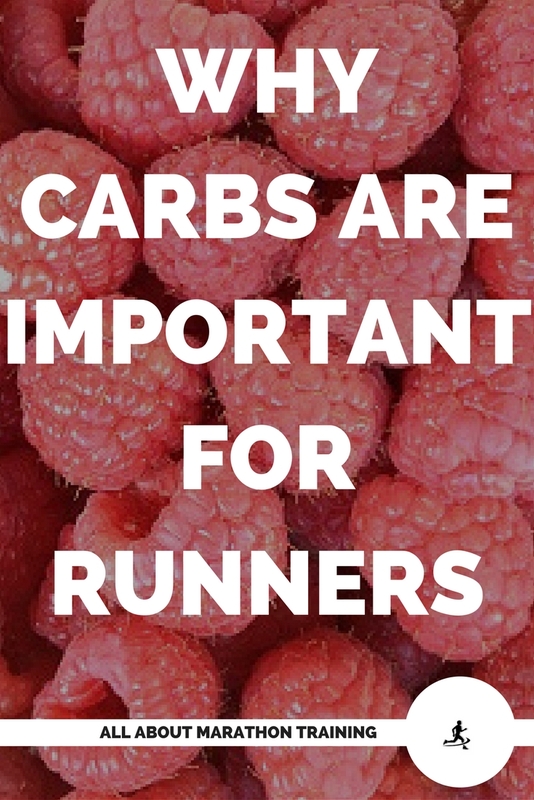 And the faster you run, or even want to run, the more carbohydrates your body will require. To put it simply, if you eat a carb-free diet (such as is prescribed by the first phase of the South Beach diet) you CANNOT run a marathon. It will be impossible for your body to do so. This section on carbohydrates explains very clearly why. 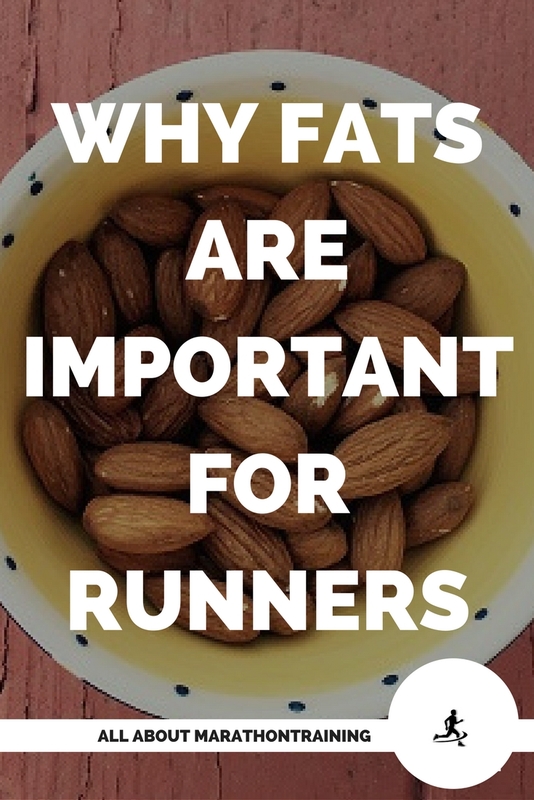 That being said, your body will also be utilizing your fat stores when you run. In fact you could power back to back marathons with all of the fat that your body has, yes, even in the leanest of runners. However for the intensity level that we are working at when we run, we simply cannot burn fat fast enough for it to be the sole provider, or even the largest supplier of our energy. Protein plays an important role in the recovery of the body. It acts as a repair agent to our muscles that have undergone serious trauma, micro-tears, etc, especially after a long run or race. 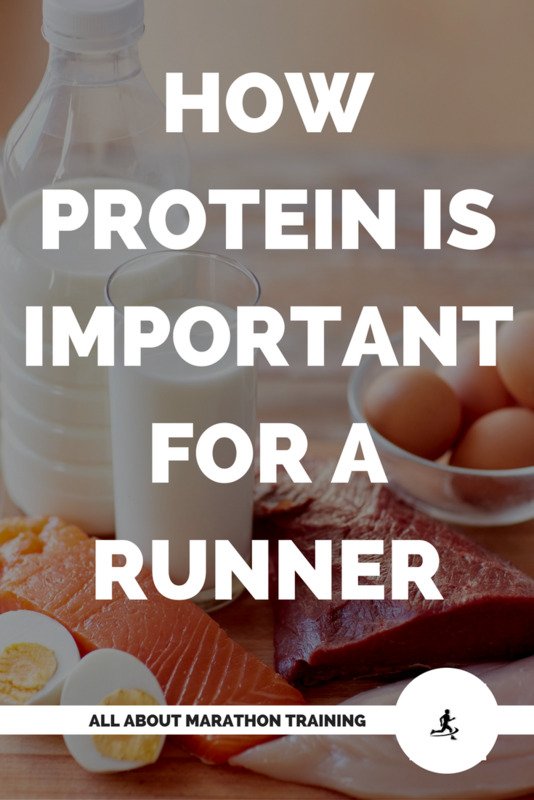 However, it is the amount of protein that is used as fuel for the body while running is almost completely negligible. It's importance lies in strength and recovery. 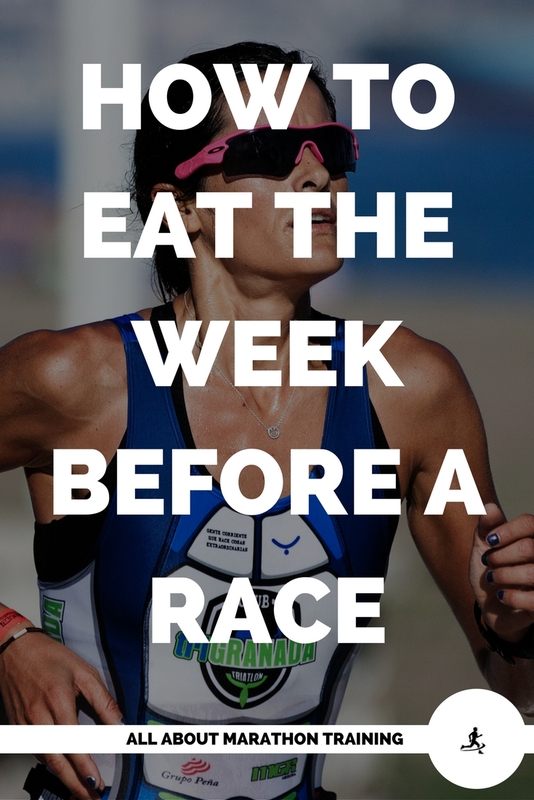 So stick to carbo loading before a big race and save most of your "protein loading" for after. There are other important nutrients that need to be discussed in regards to marathon nutrition, particularly these 2 micro-nutrients. 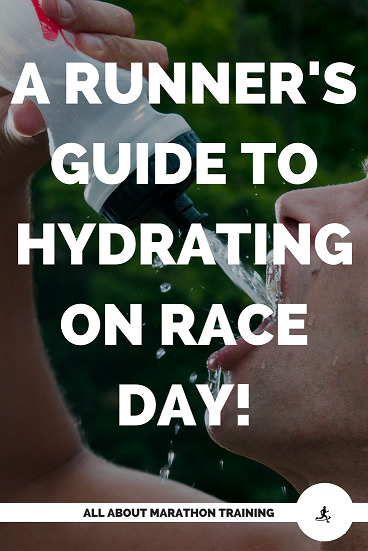 Needless to say, water is vital to life and even more so to a runner who is running long distances, out in the sun and other elements causing a large amount of water loss. However, be sure to read our section on the importance of energy drinks for a long-distance runner as taking in large amounts of water and not replacing our lost sodium and potassium stores can result in a life-threatening condition called hyponatremia. As long as you are eating a well-balanced healthy marathon nutrition diet, you should be getting enough vitamins and minerals. Some still choose to take a multi-vitamin every day, however this absolutely necessary. 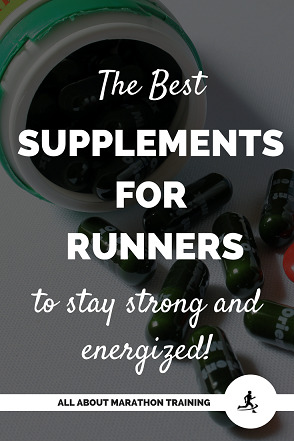 That being said, science does know now that B vitamins, such as riboflavin and niacin, play a role in our energy production pathways and so endurance runners may benefit from taking these supplements. Iron is an important mineral as it transports oxygen in our blood and it may be beneficial to endurance training as well. Your nutrition as an athlete, in particular, as a marathon athlete, is similar to the guidelines that the above Eat Well Plate illustrates but I want to you to challenge yourself to make one very effective change. It is in theory but you will have to be on your game, have those healthy, fresh foods in your house, to actually prep them and eat them. But it will make such. a. difference. In your energy levels, in your running, and in the way you look, and feel. Just give it a chance. But honestly that's my number 1 tip. The secret is out. Also, it helps to keep track! 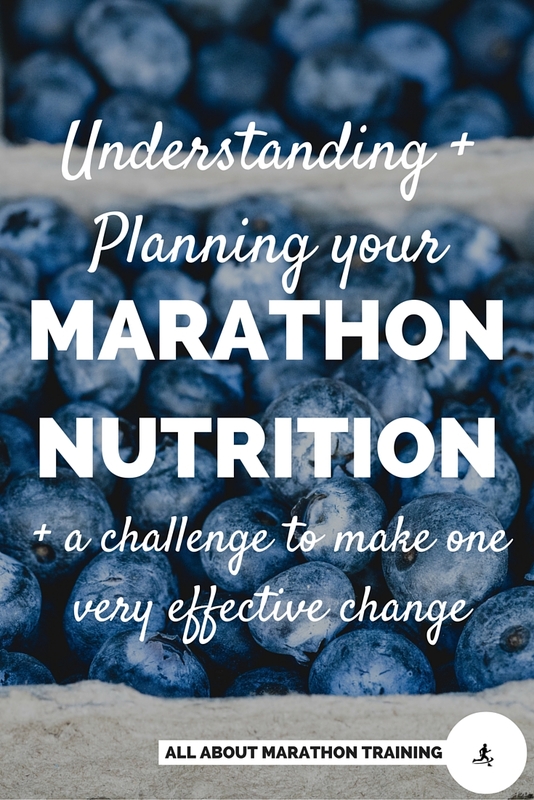 Remember, marathon nutrition is not about having to meticulously record every gram you eat of each nutrient. If you want to though then go for it! You can learn a lot about yourself and your diet. You’re other option to use ball park figures. Some people prefer to keep food logs to find out what works best for them. This is a fantastic idea! By tracking what you eat you can pinpoint what foods and nutritional substances you might be skimping on and also find out what feels best for you in regards to eating and running. A good idea is to write down the foods you eat throughout the day in your running log if you keep one. Another plus: It’s a great motivating tool to have a food diary (and for that matter a running log) to keep you excited about your training and on your way to success. This is a question that a lot of runners have but it really involves a lot of trial and error since there is still so much variability between runners. 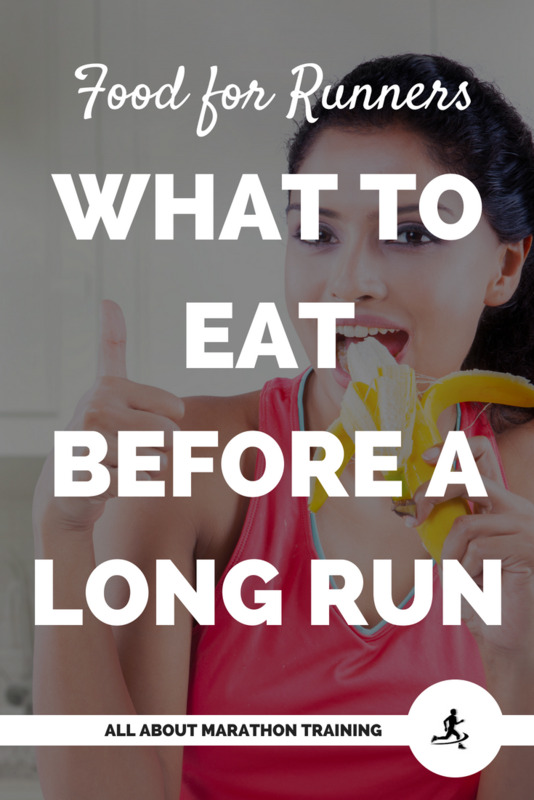 A lot of runners find that they suffer from indigestion and are not be able to properly use and absorb the nutrients from the food if eat right before a run. As you run your body is shunting blood to your legs to supply them with oxygen and very little goes to you stomach. Make sure you give food time to digest and become absorbed. Getting the correct nutrients will most definitely make a difference in your overall performance, mood, and well being. 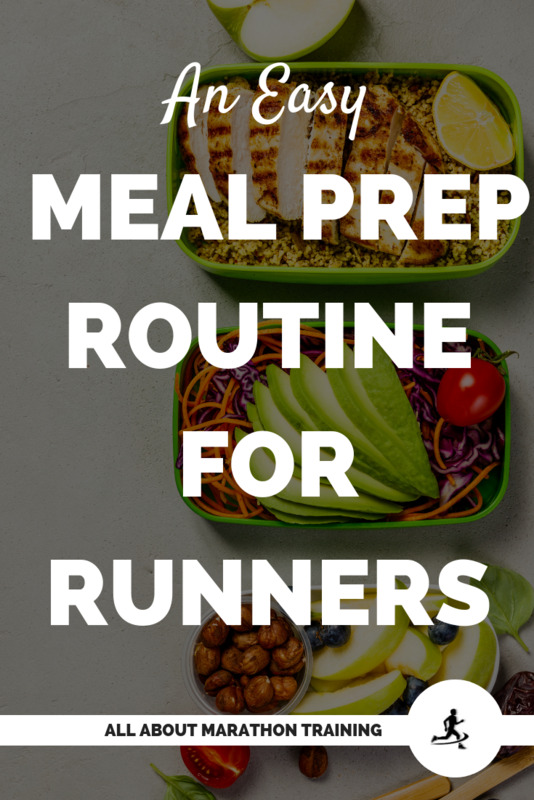 Schedule in any pre-long run meals about 4 hours ahead of your run to allow for adequate digestion and to derive fuel benefits. 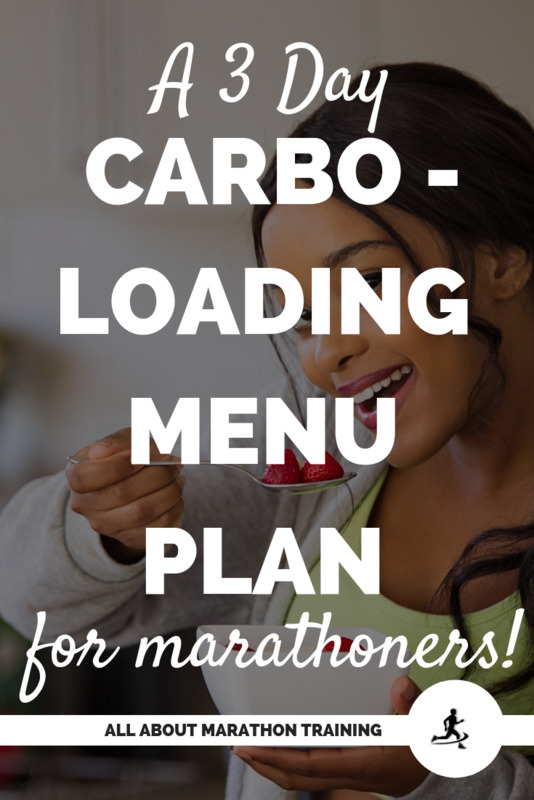 Also, refuel with carbohydrates during and after to build back your dwindling glycogen stores that you have used up through running. The best way to do this during a run is by using energy drinks as the liquid substance is absorbed much easier than a solid substance. You should be fine eating a light snack right before you but again, this is a personal choice. 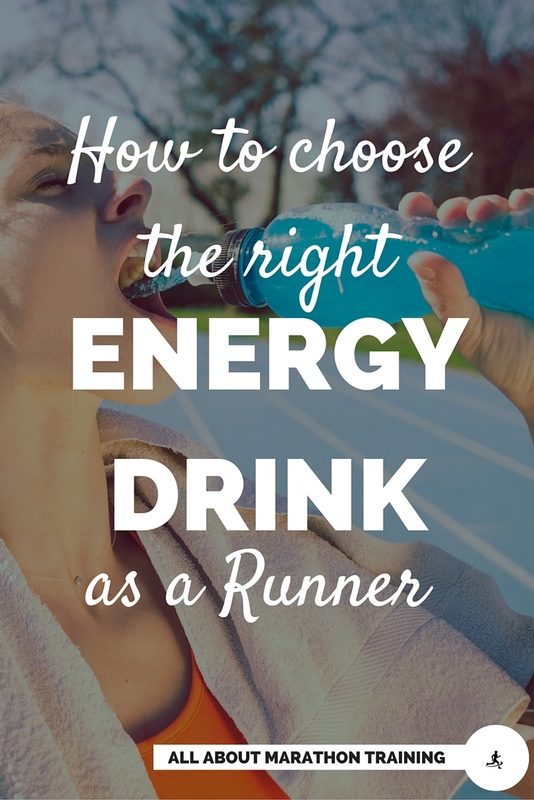 You do not need to worry about refueling during the run though. Just be sure to have another light recovery snack afterwards. 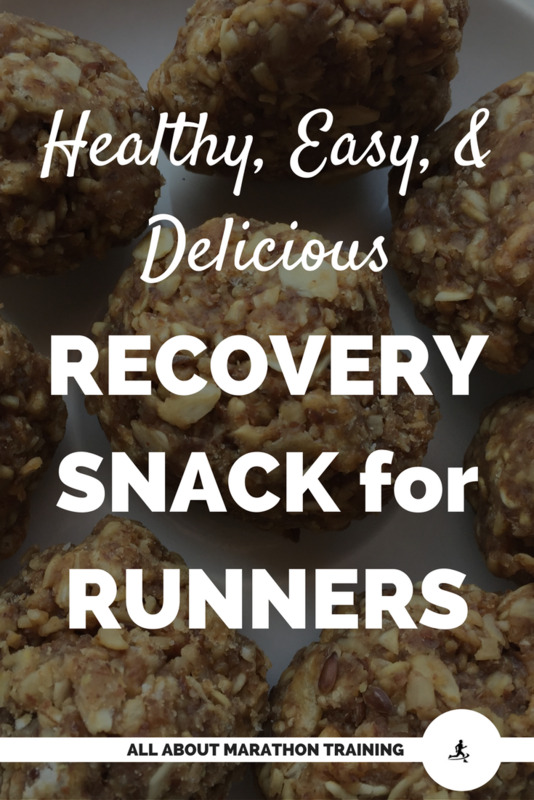 Protein Poppers: A clean treat + running recovery snack! 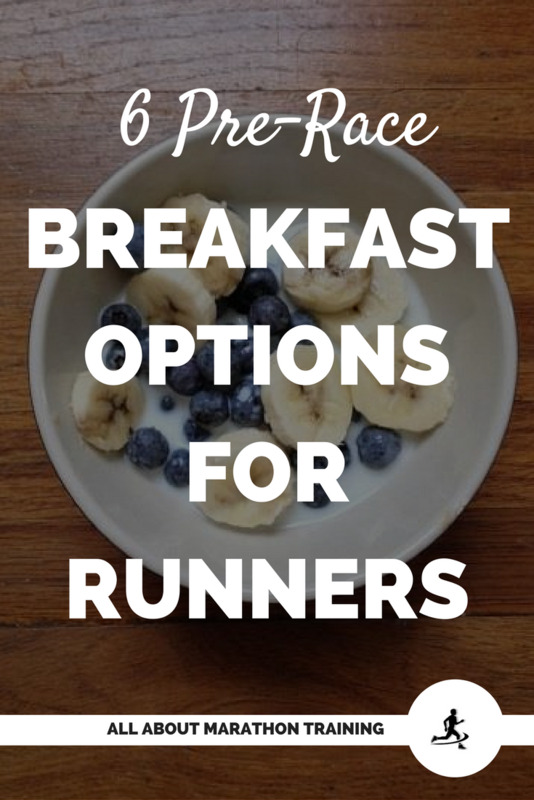 What to eat before a marathon: 6 breakfast ideas you can make the night before! 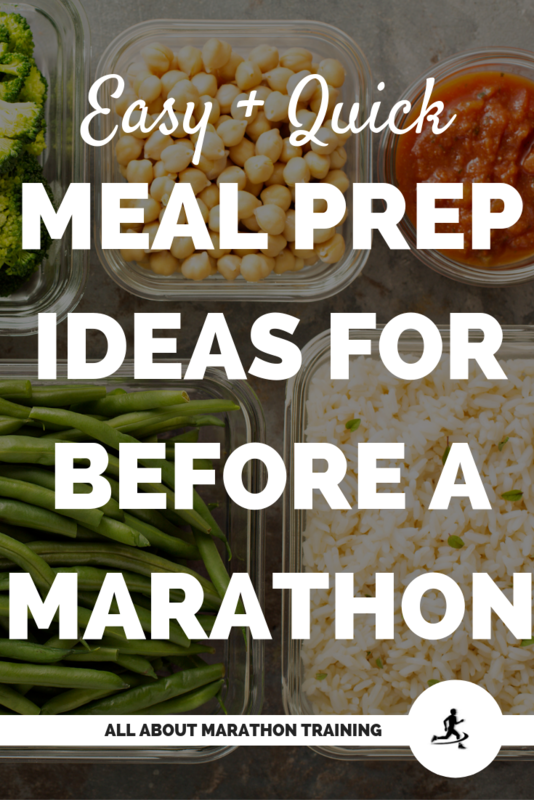 Prepare your meals ahead of time to stay on track! 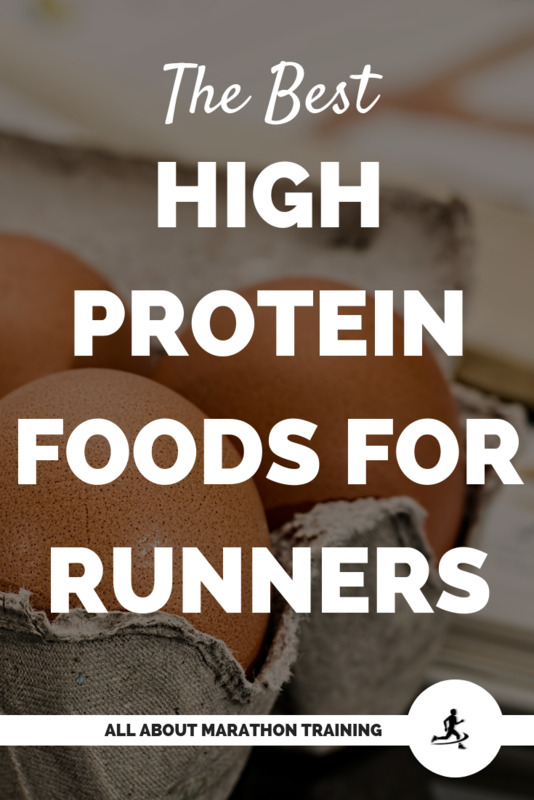 An easy to follow list of high protein foods for runners. There are so many benefits to eating healthy and having a clear marathon nutrition goal when it comes to marathon training. You will feel better and get rid of that sluggish, tired, afternoon-slump feeling- huge bonus when it comes to late afternoon/night runs. Always remember that nutrition spells out your performance so good nutrition equals good performance. As the saying goes, “Know yourself”. 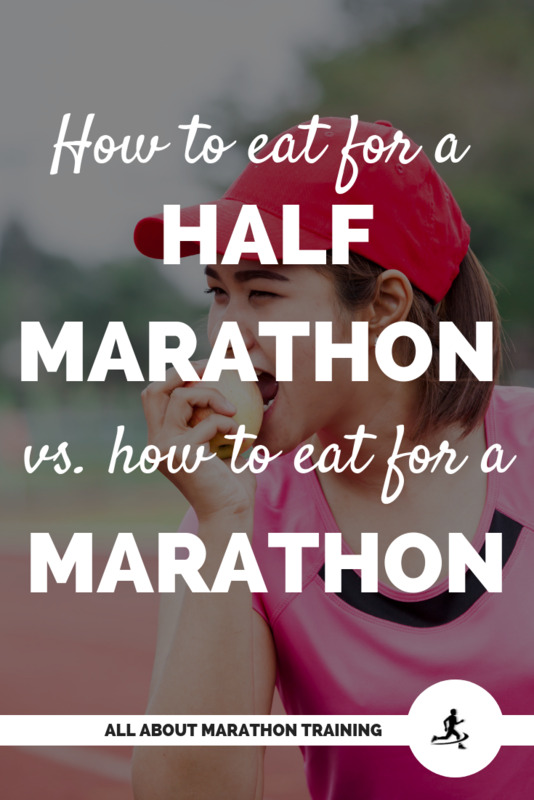 Figure out what works best for you and your marathon training, take in the recommended servings of the food groups and you will be on the street of good marathon nutrition!